Henry Hansen - THE MASSACRE AT LE PARADIS - HELL IN PARADISE - MAY, 1940. Private 814880 Henry Robert Hansen. Died 27th May, 1940, aged 29. There is no cross on the gravestone suggesting that Private Hansen had no religious beliefs. ​The inscription reads: "Deep in our hearts Your Memory is Kept. We Loved You Too Dearly To ever forget." 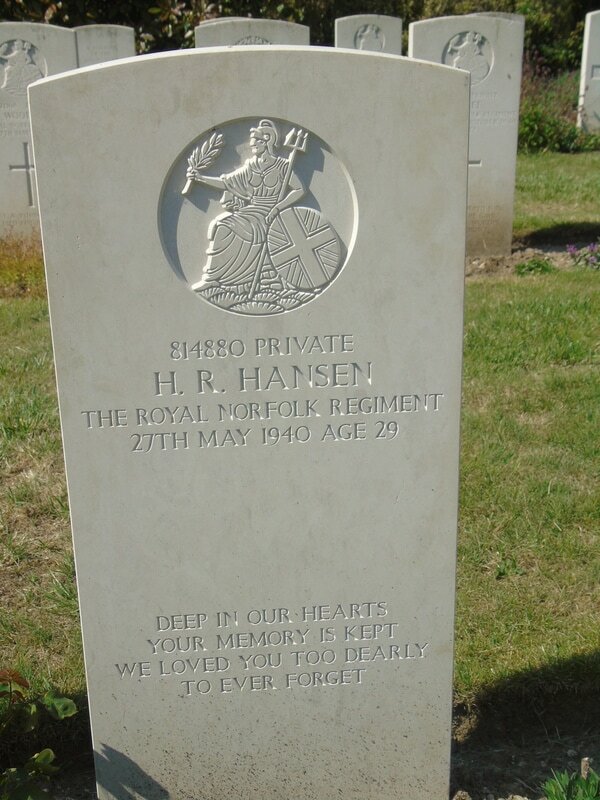 ​Son of Alexander and Hannah Hansen, of East Gorleston, Norfolk.